I’ve been sorting about 6000 images from a 3 1/2 day November Photo Tour in central New Mexico at the Bosque del Apache National Wildlife Refuge. The refuge was in excellent condition and the weather was cooperative, so we had good luck photographing the landscapes and wildlife of the area. I wanted to show you so many of these that I decided to print them by category. Let’s start with landscapes, since they are colorful and not too numerous. The following are from the Very Large Array (VLA) radio telescopes located about 50 miles west of our base in Socorro, New Mexico. 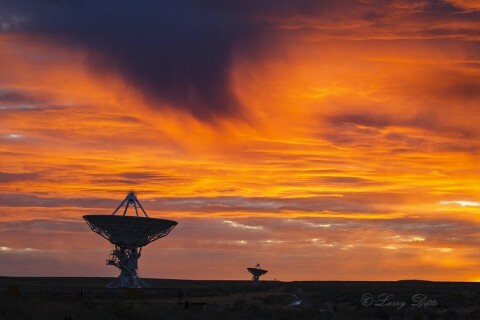 You may remember the VLA if you have seen the Jodie Foster movie “Contact”. Anyway, the combination of an incredible sunset and the sci-fi nature of our landscape really got us pumped. Click on a photo and it will enlarge and sharpen for viewing. Each of the 27 dishes is 82′ across and weighs 100 tons. They gather radio waves from deep space to provide information on forming stars, black holes and galaxies. These sunset shots were done with a Canon 50D Mark II camera and 24-105 mm lens. 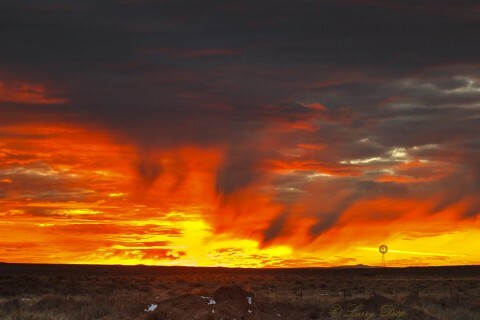 At the end of the day, an incredible New Mexico sunset painted the sky red and orange. 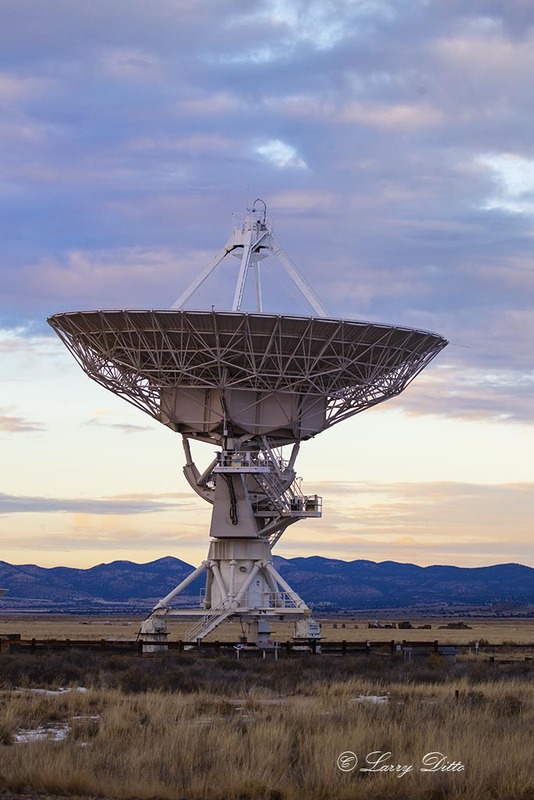 Several telescopes were within walking distance of the parking lot or were visible from a short walking trail. Our timing was perfect as we enjoyed incredible light for the last half hour of the day . 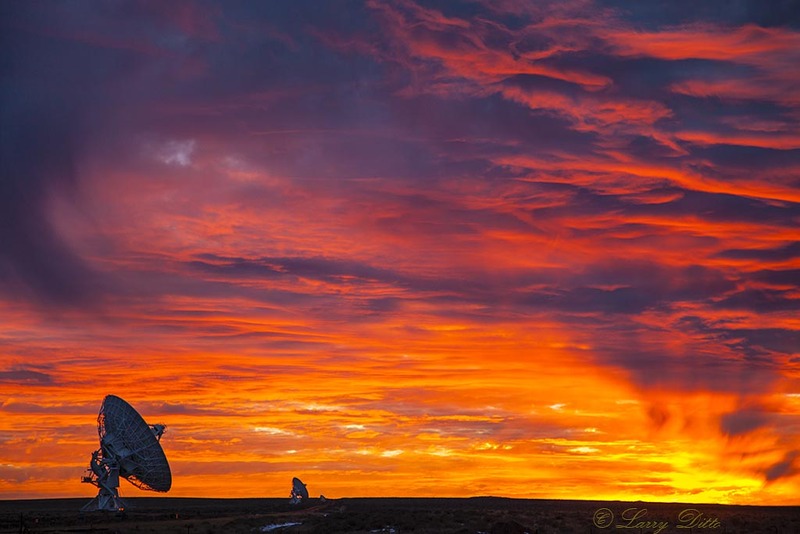 A windmill at the VLA. Tomorrow, we will look at wildlife and more landscapes on the Bosque del Apache Refuge.